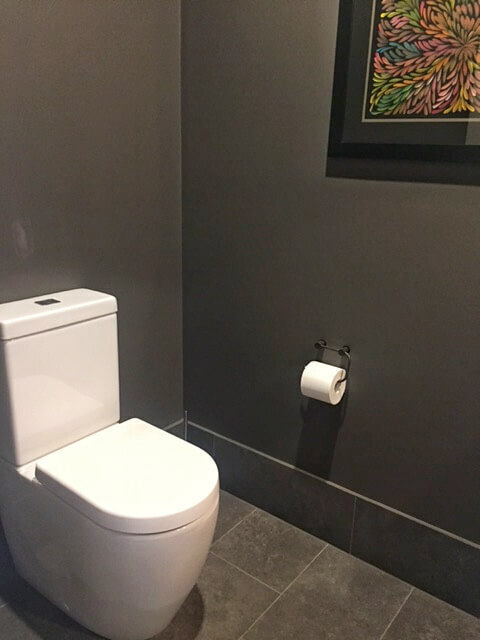 An intimate and moody powder room in Narrabundah. This powder room was part of a new build in Narrabundah. 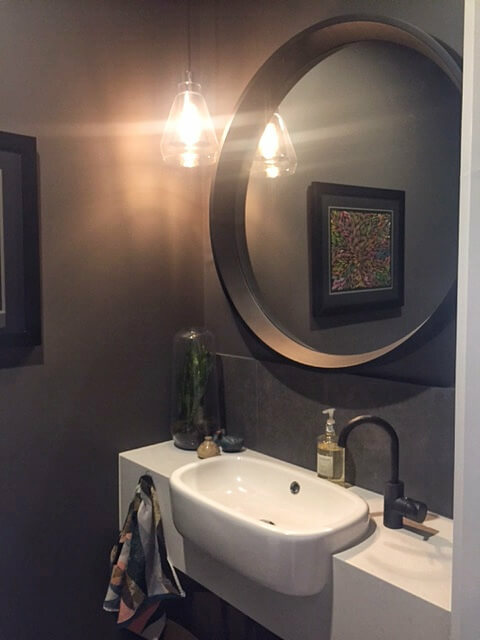 The client wanted to work with the small room and embrace the dark space and make the powder room moody and intimate. We selected a dark, warm brown/grey that has a lovely rich finish. Together with some metallic finishes and white fixtures, this room has a lovely feeling of luxury and sophistication. It is a good example of working with the size and light in a room and not trying to fight it.